You need to have a proper storage facility. Even if you're planning on making a quick flip on a few bottles, you need to temperature control the wine. If you are serious about investing in wine and getting involved with the business in this fashion, you need to protect your investment with a cellar that maintains the wine's temperature at 55F degrees. You need to know where you plan on reselling the wine. If you want a hassle free transaction I'd recommend getting set up with winecommune.com or winebid.com. You can set up an account and accept payment via paypal. These systems are very much like Ebay in how they work. 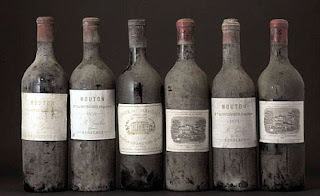 You need to do your homework about what wines command a strong presence on the auction block. What wines are collector's wines. What wines are in demand. What wines are going to increase in value over time if stored properly. Look here for an in depth look at what wines are worth investing in. You need to know the going rate on the wines you plan to purchase. Once you find out what wines you're looking to invest in, make a spread sheet of the prices they are selling at. You can check the wines and what they last sold for on Winecommune.com if you have a sellers account. You have to buy the wine at a very reasonable entry point. You must find a deal. Ship your wines with the utmost care and speed. Wine buyers are willing to pay the proper shipping price which you'll need to include in the auction so it doesn't leach your profits away. Use shippers that will protect the wine and only ship wine during times of the year when it is temperate enough to get it there in proper condition.